Decorated in our nation’s colors, North Lamar campuses honored veterans and active military personnel in observance of Veterans Day with breakfasts, lunches, and programs. 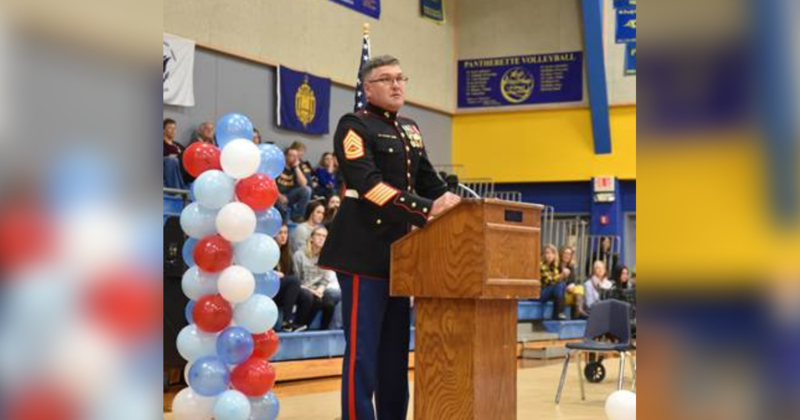 Keynote speakers, Marine Corps Veteran Richard McIntire, Jr. and U.S. Air Force Major Branden Felker, each addressed students, staff and guests in the North Lamar High School gym. Retired veteran James Chadwick spoke at Aaron Parker Elementary, and retired U.S. Army Col. Mike Anderson addressed all attending the program at Everett Elementary. All touched on the many sacrifices made by those past and present for the freedom we have today. Listening close and showing their respect and appreciation of the military men and women, the students learned first-hand what it means to serve in the United State Armed Forces and to live in America. 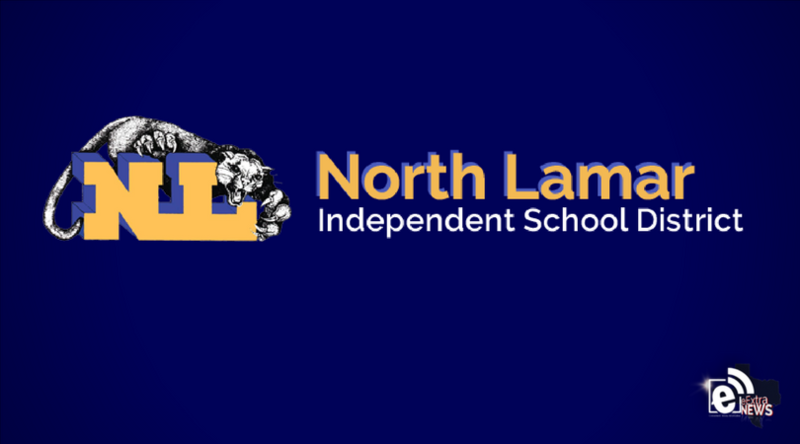 North Lamar’s band, choir, and music departments took part in the programs by performing an array of patriotic selections. All programs concluded with student groups honoring veterans and military personnel in a pinning ceremony. 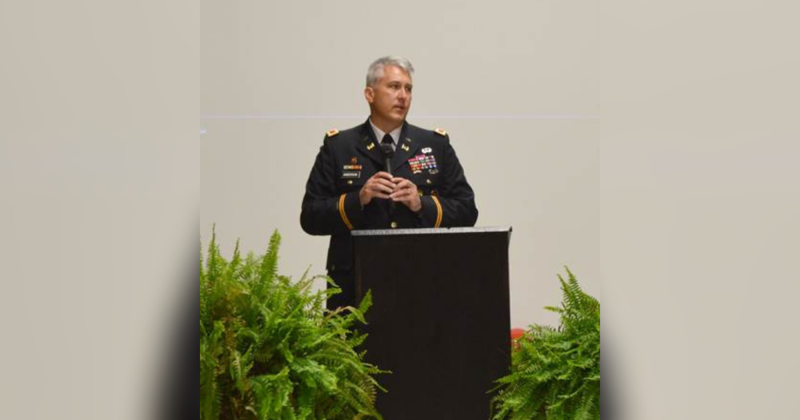 Richard McIntire, Jr. addressed North Lamar High School students and community members on Veterans Day reflecting back to the experiences he had while serving his country. Photo provided by NLISD. 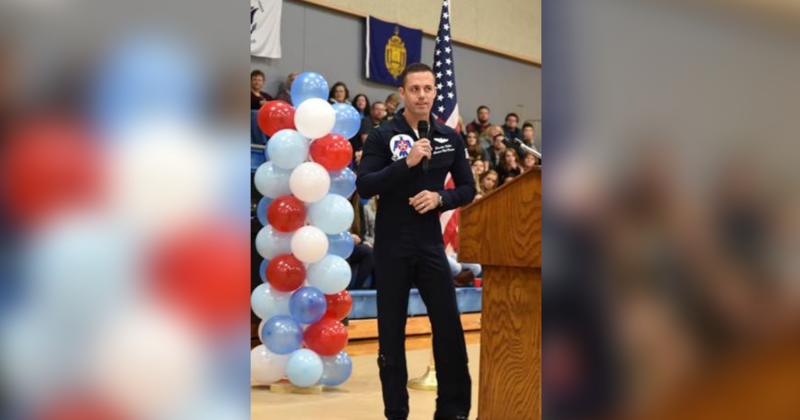 NLHS keynote speaker, Major Branden Felker, shared what he does as the Advance Pilot and Narrator for the United States Air Force Air Demonstration Squadron, the Thunderbirds. Photo provided by NLISD. Speaking to the second and third grade students during the Everett Elementary Veterans Day program was retired U.S. Army Col. Mike Anderson. Photo provided by NLISD. 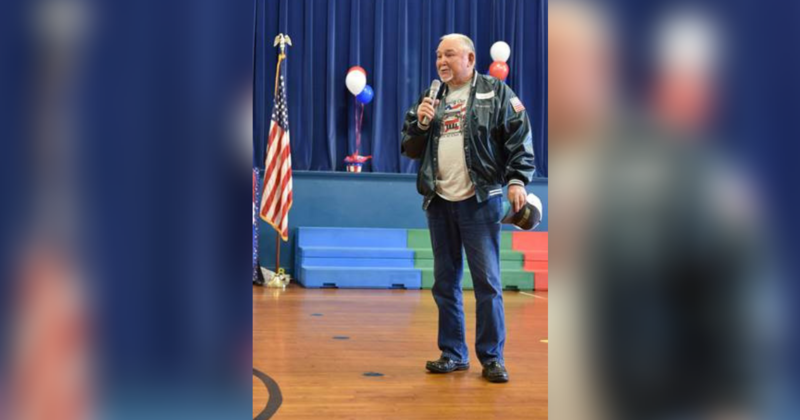 Retired veteran James Chadwick told students at Aaron Parker Elementary that he was only 17 years old when he volunteered for the U.S. Air Force. Photo provided by NLISD.